One of the untold stories of the fighting in Iraq is the effect it is having upon the country’s economy. Almost two million internally displaced people, the loss of agricultural land in northern Iraq, foreign investors being scared off, the decline in trade, the collapse of several internal markets, and depleted financial reserves have all been reported in the press. This came on top of the fact that the 2014 budget was never passed due to ex-Premier Nouri al-Maliki’s disputes with his political rivals, which is crippling in a state run system like Iraq’s. All together this points to an economy in crisis. There are all kinds of stories about the problems Iraq’s economy is suffering from. The Baghdad provincial council told Al Mada that Turkish and Arab countries were pulling out when the insurgent summer offensive began in June. It warned that this would affect services and projects. The real estate and car markets were said to have collapsed as well. Hundreds of acres of farmland have been lost to the insurgency. Al Monitor reported that 900,000 acres of wheat and barley crops were lost in Salahaddin alone after insurgents seized the northern and eastern sections of the governorate. Agriculture is a major employer in Iraq. The violence has disrupted trade. One expert said that there was a 60-70% decline in imports due to the on going fighting. Many of the routes to Jordan, Syria and Turkey have been cut off. There has also been a disruption in the distribution of goods within the country. These have both contributed to raising prices for many goods. Finally, nearly two million people have been displaced since the beginning of the year. These people have lost their jobs. There are fears that unemployment and poverty have all sky rocketed as a result. These all point to an economy coming apart as markets, goods, and investment have all been disrupted. Iraq is also facing a financial crisis. The 2014 budget was never passed as former Premier Maliki used it as a weapon against his opponents before the parliamentary elections. Experts and parliamentarians said that was slowing the economy even before the summer offensive, and some even warned of a recession in May. The lack of a budget meant that projects have come to a halt, public workers, the largest group in the economy have not been paid, which has trickled down to increased unemployment and cash shortages. When Mosul fell the situation got worse as Maliki used up the general budget and money from the Development Fund for Iraq to pay for the war, which was costing up to $50 million a day. Parliament’s finance committee said that the Fund was down from $10 billion to $3 billion. The same committee claimed that the ex-prime minister spent all the oil revenues over the last seven months as well. 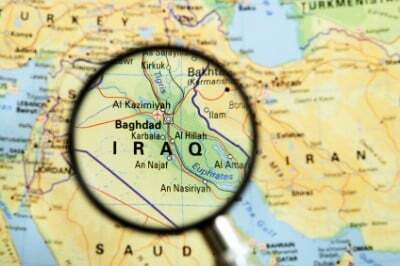 Iraq has a state-run economy so passage of the budget is crucial to keeping the country running. Things were bad already as development was coming to a halt due to a lack of a budget, and now the fall of northern Iraq has made the situation worse as much of the available funds have gone towards security. The insurgency is not only costing Iraqis their lives, but their livelihood as well. The economy is coming apart under the weight of the violence. Foreign businesses are being scared away, trade has atrophied, unemployment is up and more. On top of that there is still no budget and Iraq’s reserves have been depleted. The country’s economy only started turning around after the 2003 invasion when security was improved with the 2007 Surge. The same will happen now as no development can happen without stability, which looks to be years away.